Caula settled in Caracas as an advertising photographer and documentary filmmaker from 1960, when he had to emigrate due to the difficult political and social situation in Argentina at the time. After moving to Venezuela he bought a Graflex camera, worked up a photography laboratory in his house, became friends with Leo Matiz, managed his studio in Caracas, collaborated as a photojournalist in the magazine Élite, and won an award from United Press International for his photo of the Betancourt-Frondizi hug in 1961. He also took pictures of the differences in the country. He went into the student protests, in the life inside the hospitals, et cetera. Its thematic axis was Caracas and it is interesting that, by then, Tito Caula managed to capture that cosmopolitan, plural, diverse and tolerant city. A Caracas that probably is no longer there but from which contemporary photographers have registered thanks to Caula. 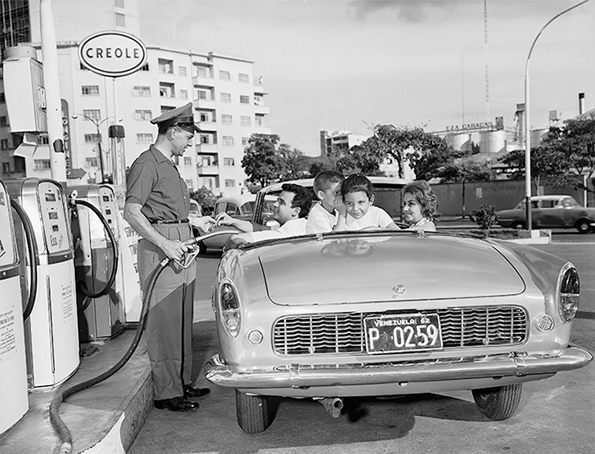 Recall that the oil boom of the seventies changed Venezuela. I like the Creole (spoken here) sign in last photo.